Fill out our simple form and get quotes from local popcorn suppliers. Whether it’s sweet, salty, or a mix you prefer, everyone has their favourite type of popcorn. But don’t worry, hiring a popcorn machine will put you in control - so choose wisely! Popcorn isn’t just for the cinema, it’s perfect for birthday parties, corporate events and even weddings. 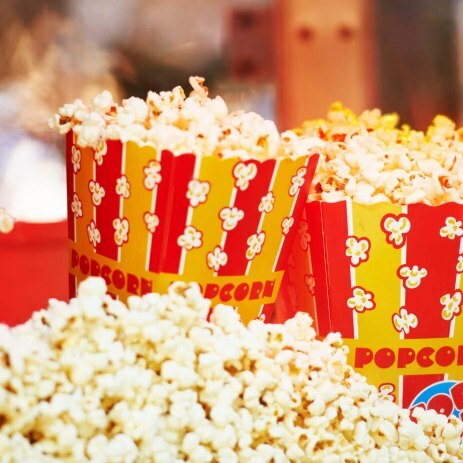 Most popcorn hire suppliers can provide staff who will make the popcorn for you, or simply provide you with the equipment and instruction so you can make your own. Popcorn machine hire is a great option if you’re looking for some fun foods on a budget, and with a wide variety of suppliers, you’ll be able to find something to suit your event. To hear from popcorn machine hire suppliers in your area, simply complete a request form. Pop Corn set up. We hold 4 machines in stock so have the capability of helping with small parties to large weddings and corporate events. We have 2 different size popcorn carts available a massive 8oz machine and a smaller 4 oz one for smaller parties!! Both come with everything you need to get popping corn!! Awesome! Unlimited Popcorn Freshly Cooked and Served by a Level 2 Food Hygiene Certificate Holder. Minimum Hire Period of this item is 2 hours. Try our vintage popcorn machine, not a cheap machine one of the best USA inspired UK built machines with a fully operational cart. Popcorn machine hire comes in all shapes and sizes, from small 4oz machines to 12oz giants, with some suppliers also able to offer bespoke branding - perfect if you’re organising a corporate event and want to impress guests. Be sure to discuss your event details with suppliers in advance so they can suggest the best size and model of popcorn machine. Many suppliers will also provide vintage style popcorn cones for serving and offer a variety of flavours and toppings. To find out more and hear from local popcorn machine hire suppliers in your area, complete a simple request form now.